Posted by Tom Crimmins Realty on Friday, February 1st, 2019 at 2:03pm. THIS HOUSE FOR SALE CAN BE FOUND ON OUR WEBSITE TOMCRIMMINSREALTY.COM AS WELL AS NYC.FLEXMLS.COM (MULTIPLE LISTING SERVICE). This home is move in ready! New roof, siding, kitchen, hardwood floors, and a full bath. This is a single family attached home! This home features 3 bedroom and 2 baths as well as hardwood floors all throughout the home. This is the perfect starter home for first time home buyers! This is a prime location in Great Kills! Everybody loves the south shore! This home is priced to sell! This could be your home!!! Call now to schedule a viewing! 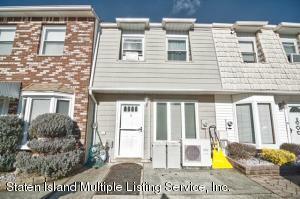 IF YOU ARE LOOKING FOR MORE HOMES IN STATEN ISLAND PLEASE CLICK HERE TO BE DIRECTED TO OUR WEBSITE TO VIEW MORE OF OUR MLS LISTINGS AND/OR CONTACT US AT 718-370-3200 DURING OFFICE HOURS. WE OFFER A LARGE SELECTION OF CONDOS, TOWNHOMES, SINGLE FAMILY HOMES, 2 FAMILY HOMES, AND LUXURY HOMES. OUR TOP OF THE LINE REAL ESTATE AGENTS IN STATEN ISLAND'S BEST REAL ESTATE REALTY WOULD BE MORE THAN EAGER TO ASSIST YOU! WE CAN HELP YOU EVERY STEP OF THE WAY- FINDING AN AGENT, HOME SEARCHING, SELLING HOMES, STAGING A HOME, NEGOTIATION, HOME INSPECTION, MORTGAGE PROCESS, WALKTHROUGH, AND CLOSING. WE ARE PROUD TO SAY WE ARE THE BEST REALTOR IN STATEN ISLAND.